Lori is the amazing Graphic Designer who has re-designed my blog and made it so amazing! I am so happy to know her and her talents! I am so happy to have been able to finally meet her in real life at SDCC 2014! Hey there, I'm Lori! I'm an aspiring Graphic/Web designer + illustrator finishing up my senior year in college. 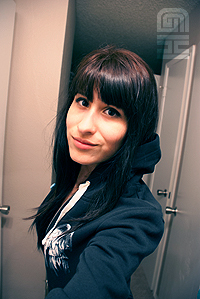 By day, I am a cashier for one job and a web developer for another job... By night, I am on geek mode playing video games, reading up on geek blogs, or doing some diy crafts and other art related projects. The Nerdy Girlie: What is your 1st nerd memory? Lori: It would probably have to be my first comic con experience which was last year. I felt like I was right at home... I loved being around all the great artists, amazing cosplayers, and getting to meet some great people. TNG: How and why did you start blogging? Lori: I've been creating personal blogs for years - But it's always been art related blogs about my work and such. I have sooooo many fandoms from video games to comic books to artists, so I decided to create a blog that I can throw all of that stuff in! ...And then behold, a wild "GirlHero" appeared. TNG: YOUR favorite blog read? 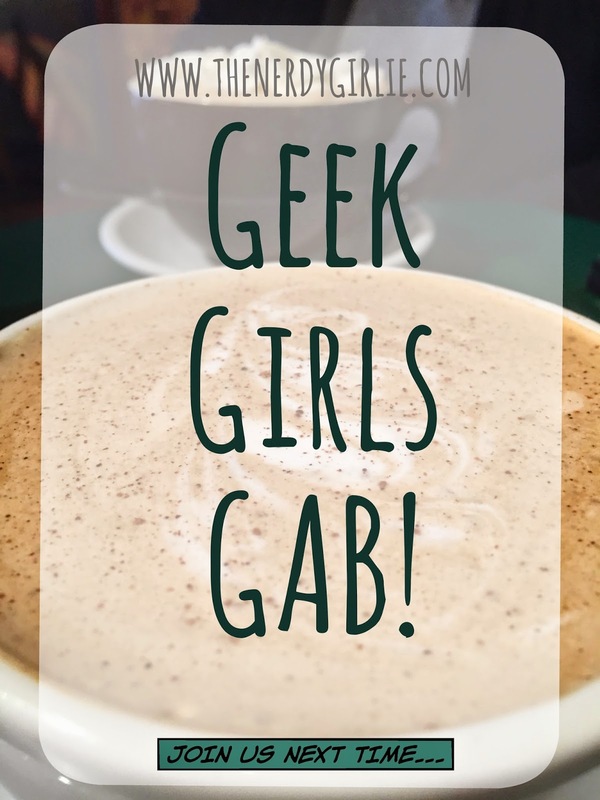 Lori: I've been slowly coming across reading some geek blogs, but BeingGeekChic is a main one I like to stop by. I love doing crafts so another blog I love to read is called HowAboutOrange. I'm still discovering all these great geek blogs! TNG: What is your favorite thing/things to nerd out about? Lori: Lately, it's been Doctor Who! If I hear someone bring up something Doctor Who related or if I see someone flaunting some Doctor Who merchandise I'll perk up with excitement! Same thing with Harry Potter and anything zombie related too. TNG: Any tips for San Diego Comic Con? TNG: Girlie things you love? THANK YOU TO Lori for answering our questions! I know her and I can be great friends because we have the SAME Doctor! Check out her awesome blog at: Girl Hero Lori and FOLLOW her on Twitter: @GirlHeroLori.